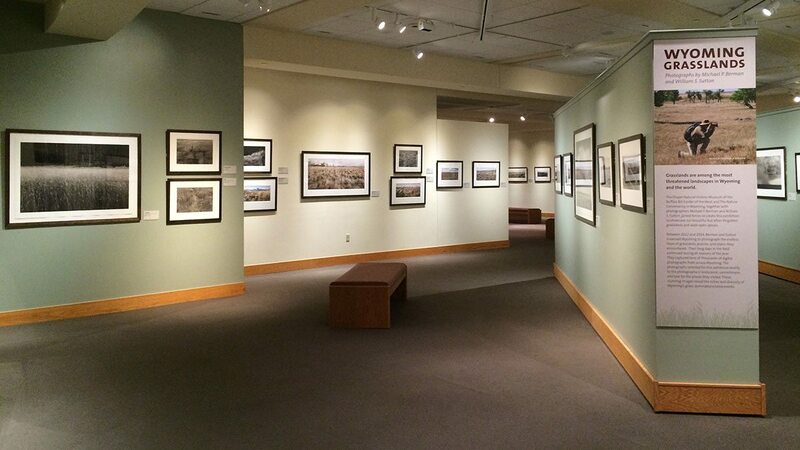 “Wyoming Grasslands” on display in the John Bunker Sands Photography Gallery. The major touring exhibition Wyoming Grasslands featured the black and white images of Michael Berman and the color images of William Sutton. A partnership between the Wyoming Chapter of the Nature Conservancy and the Buffalo Bill Center of the West, the exhibition had its beginnings in a 2012 initiative to photograph Wyoming’s grasslands. The resulting diverse images cover everything from prairie grasslands and meadows to sagebrush-steppe and foothill grasslands. They depict dramatic skies, cows on range land, derelict structures, river valleys, fence lines, hayfields, and more. Click here to “Take a Closer Look” at the exhibition and the photographers. Together, the work of these photographers commands our attention. It embraces the monumental scale of the grasslands. It divines the small and intimate, the quiet and reflective. The images are dark, fearsome, and brooding, or drenched with the heavenly light of the Creator. They are hot and cold, dry and wet. The images invite the viewer into the spaces our two photographers have created, and have come to cherish, with their cameras. William Sutton’s photo of Lance Creek, Niobrara County. 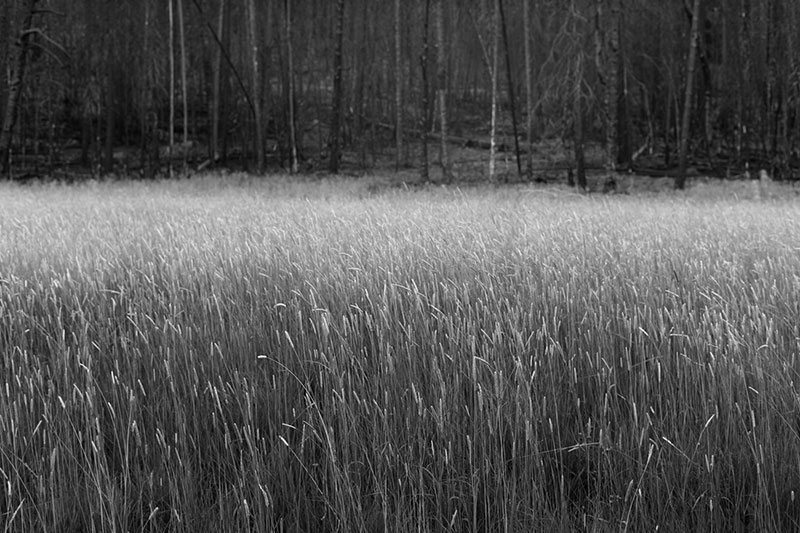 Michael Berman’s photo of meadow on Packsaddle Ridge, Lincoln County. 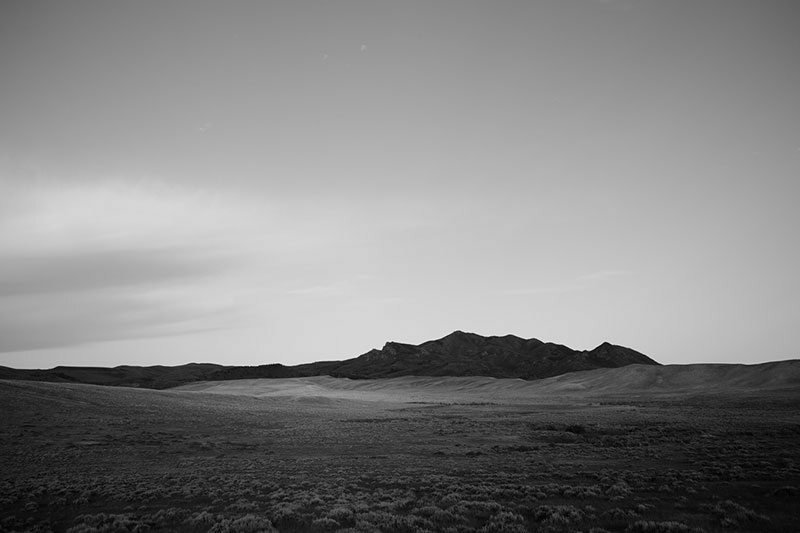 Michael Berman’s photo of Garfield Peak, Natrona County. Wyoming Grasslands: Photographs by Michael Berman and William Sutton closed August 9, 2015, but its accompanying book of essays and photographs is available for purchase from our Museum Store.